Marking the revival of the best-selling MX vs. ATV racing series, MX vs. ATV Supercross is centered around the high-flying, mud-churning Supercross sport. Rip, jump and scrub your way on a variety of tracks and try to cross the finish line first against more than 40 official riders to attain all that motocross glory. 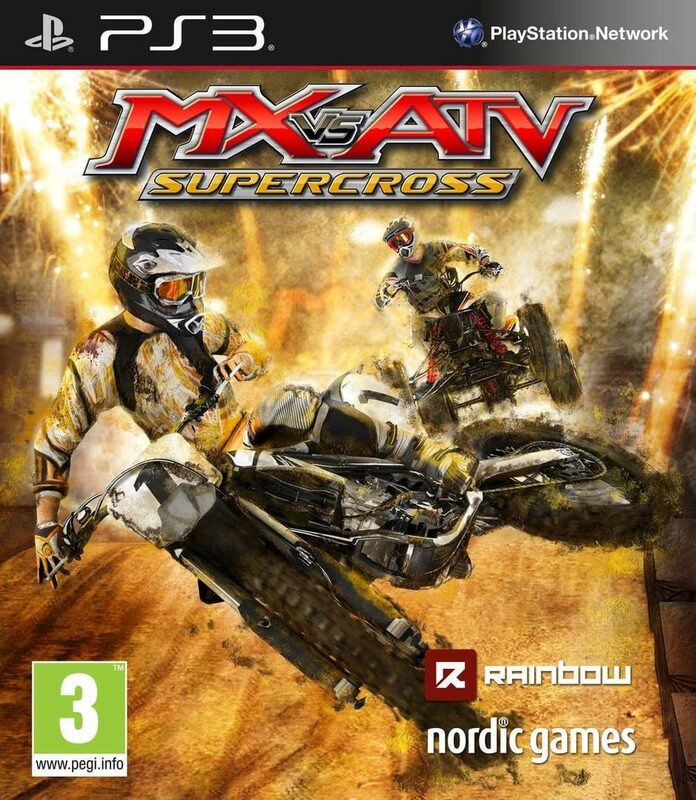 Choose between bikes or ATVs, multiple game modes including Career, Single races, and online multiplayer events with up to 12 players. Perform amazing tricks to impress your fans or just "whip" over jumps to finish the race first. Customize your rider with items from numerous licensed motocross companies to kick up dirt and dust on your way to victory.